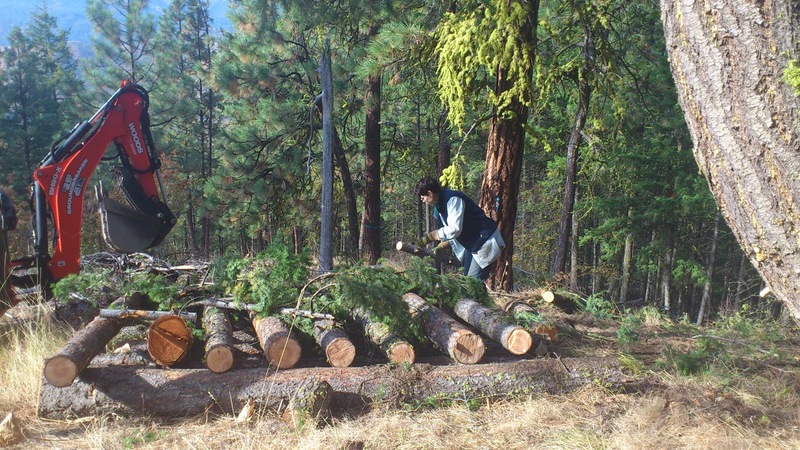 One concern when thinning trees and mitigating slash is the reduction of cover and habitat for little creatures. 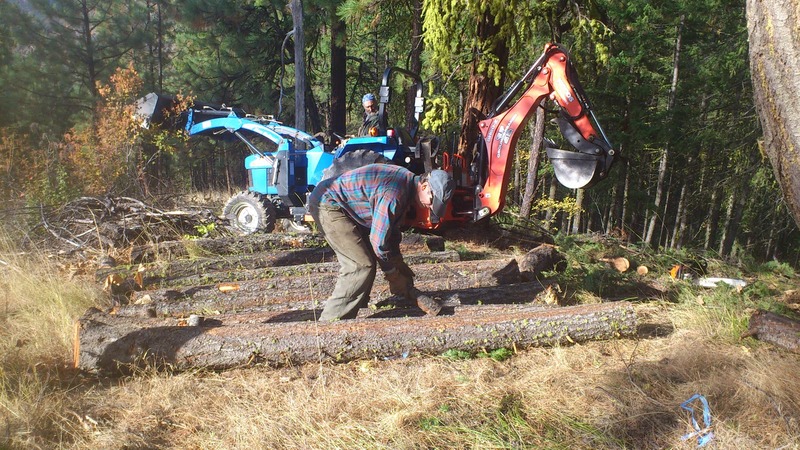 NRCS, through the EQIP program we participate in, provides for the construction of wildlife piles to restore protective cover for squirrels, rabbits, songbirds, even turkeys. 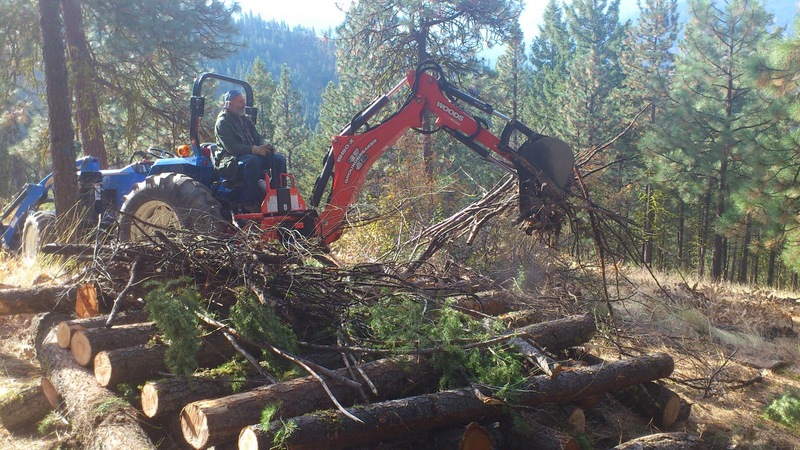 These end up looking like 10'x10' slash piles 6' high, but under all that slash the piles are specially constructed according to NRCS specifications to provide lasting, versatile habitat for wildlife. 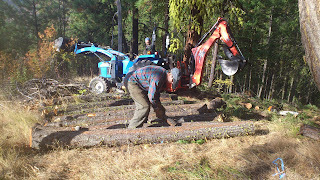 About 8 logs, 6" to 10" diameter and 10' long, are laid parallel to form the base of the wildlife pile. 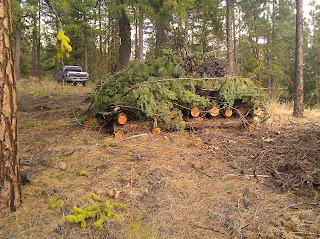 We just this year thinned the neighboring stand, so plenty of fir logs were available and close by for this project. 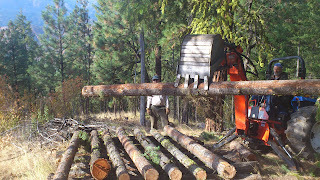 We used about 12 Douglas fir, apx 12" DBH. 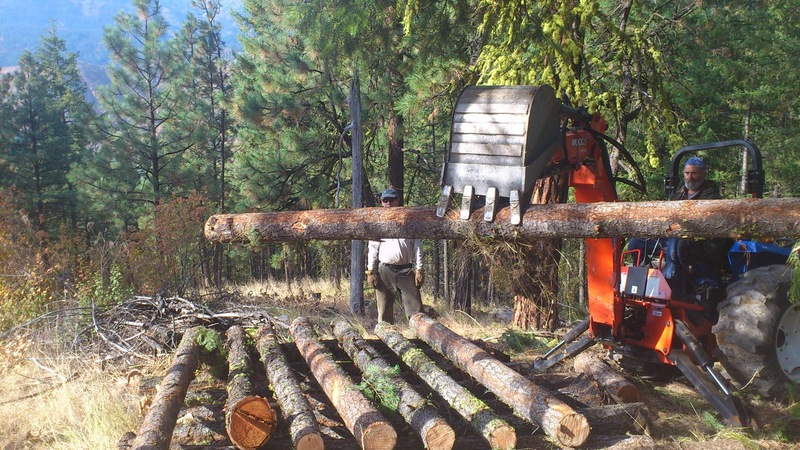 A second layer of similar logs are laid at 90 degrees to form a crisscross structure. The space between the logs is about equal to their widths. The chambers create critter condos, where small animals are safe from predators. Slash is added on top of this base. Linda gathered nearby limbs from trees we cut this year. 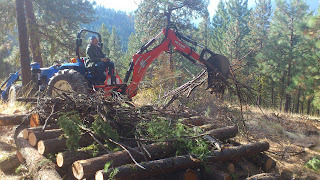 Curt added slash the easy way -- he grabbed 3 nearby slash piles and moved them onto the wildlife pile with the backhoe. 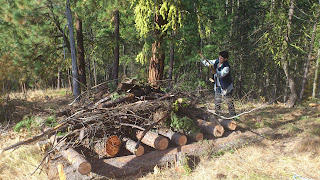 Linda kept adding limbs until the pile reached about 7' high. This will settle to 6' or less over the winter. 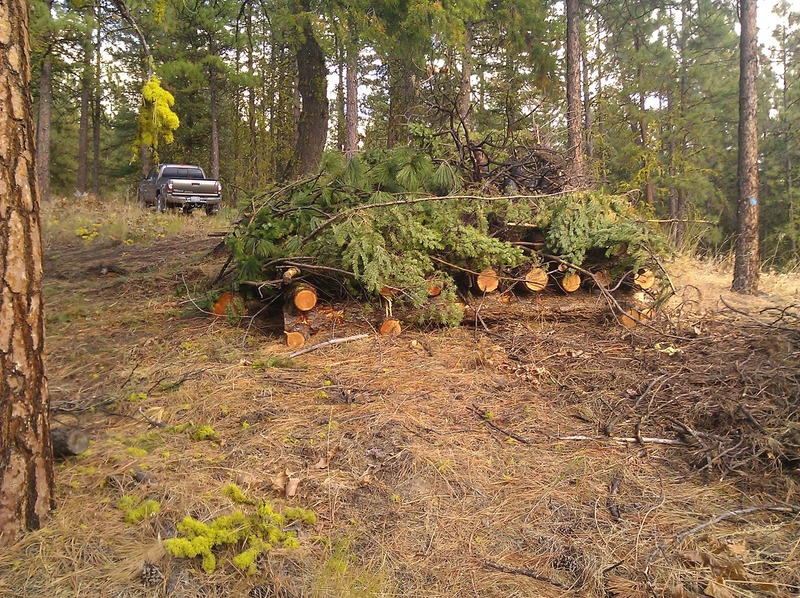 Here's the finished wildlife pile, just over 10' square. EQIP pays about $85 per pile. We're obligated to maintain the pile for several years, which basically means adding some slash to it in a few years after it settles down below 4' high. About that time we'll be ready to do a brush release in this stand, which will provide plenty of additional material. See also: Building the second EQIP wildlife pile in 2013.